We are writing to let you know, starting November 2015, the Good family will begin traveling the United States, bringing the Good News of Jesus. Our ministry's goal from its inception has been to lead individuals into a lifelong relationship between them and their Creator, Jesus Christ, resulting in holy living. Shane Good is a singer/songwriter with an evangelistic/pastoral heart. Whether Shane is leading worship or speaking, he brings a challenging message that reflects the heart of God for His people. Shane is married to Julie, his wife of 13 years. They have seven children: Isaiah, Arwen, Ashton, Ethan, Elisha, Kiera and Seth. Shane and Julie minister side by side in many different venues. They and their seven children express a life fully lived in Jesus through song, fellowship, the spoken word and personal relationships. 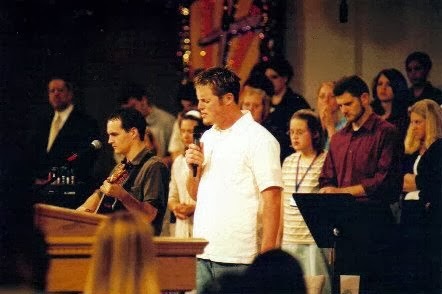 Shane's life was radically transformed in early 1996 after he visited the renowned Brownsville Revival that took place in Pensacola, Florida. He encountered Jesus in a very personal, life­changing way. As a result, Shane became very involved in ministry: on the revival's prayer team and by engaging in numerous evangelistic outreaches, stateside. Two and a half years later he graduated with the pioneer class of the Brownsville Revival School of Ministry. Immediately after he graduated, Shane began traveling extensively, spreading the Good News in Europe and Canada, as well as in the states. Shane has witnessed God doing so many miraculous things throughout his travels. He saw the Lord pour out his presence on hungry people. He saw those in the church who were living a compromised UN­godly life drawn to a closeness with Jesus that they had never known. Shane saw the physically sick healed and he watched the spiritually dead come to life as new believers met their Creator for the first time. One of the highlights was seeing so many young people respond to the call of the Lord in a radical life­changing way. Shane and Julie have felt a calling of ministry on their hearts, they are ready and willing to go minister to all who welcome them, whether they have the finances to sponsor them to come or not. If you feel led to give towards what they are doing, donations can be made through www.shanegood.com. Infinite Rain released their new album, “Jump” which expresses Shane and Julie's hearts of worship. 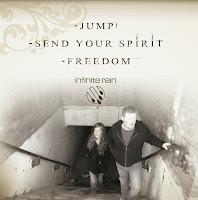 For More information about Infinite Rain or to sample "Jump" please visit: www.shanegood.com. If you are interested in having them come share at you church, home fellowship or other gathering please contact them at info@shanegood.com. Their ministry may be sponsored by those inviting them with love offerings/donations to help defray their travel and living expenses.